Dealing with licensing for your truck can be hard and confusing. Our services are designed to free you from these headaches and take care of your trucking needs. From the first steps of starting your trucking business, incorporating and getting your EIN, to licensing such as IFTA, Interstate Authority, HUT, KYU, or getting your US DOT Number and more, we take care of it all. At Rezzonator Services we not only offer some of the best rates and services out there, but we also GUARANTEE our work. Here is a small example of the licenses we can take care of. If you don't see something you need, don't hesitate to give us a call. If you or your company operates commercial vehicles that haul cargo or transport passengers in interstate commerce, then you will need to get a US DOT Number. The USDOT Number is an identifier that is used to check safety & compliance when it comes to inspections and audits. If the gross weight of the cargo or passengers you carry is 10,000 lbs or more, you must be registered and have your US DOT Number. 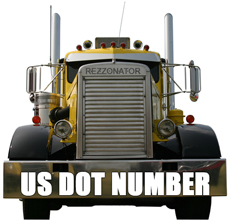 Many States, like NY, require every commercial vehicle to have a US DOT Number. Call us now for more information at 855.667.7600. With IFTA or IRP, if the origin of your load and destination is within the same state, then the Interstate Authority may be required. Feel free to contact us at 855.667.7600 for more information. Our prices for Interstate Authority start at only $375. IFTA is the agreement between 48 contiguous States and 10 Canadian Provinces. All the members have agreed to cooperate in administering and collecting motor fuel use taxes. You only have to report to one State under IFTA. The State will then allocate the fuel tax payments as needed. In order to be able to run your trucking business properly you must first form your company and get your EIN. You can think of the EIN as a "social security" number for your company that is used by the State and Federal Government to identify your business for tax and compliance monitoring purposes. Our stater package contains all that you need in order to get your trucking business up and running fast as well as being compliant with State and Federal Government laws. If you just need your EIN, we can do that as well. 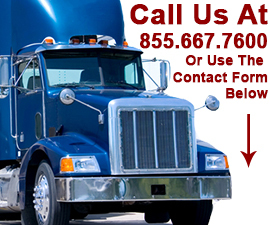 If you are operating certain vehicles that weigh 18,000 lbs or more in New York, you must have NYHUT tax credentials. Once this is done, you must file and pay mileage tax on a quarterly basis. Contact us if this is something that applies to your situation. We know that everyone has a different situation so please call us your specific situation and needs. Let us make the licensing process easy and hassle free. We offer a 100% money back guarantee but more importantly, a 100% success rate on cases. With our services, becoming an EBT Retailer is easier than ever. Your case is worked on the same day it enters our processing center GUARANTEED! No more waiting around for answers or approvals, we take care of everything. Contact us and find our how we can help you. Please describe what licenses you need or what your particular situation is.